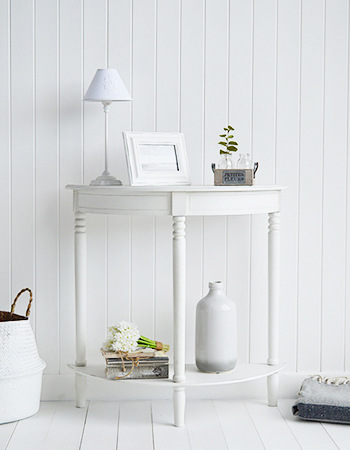 Create a calming beautiful home... stunningly striking against darker walls, while serene and calm against neutral coloured walls. 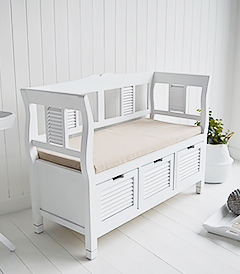 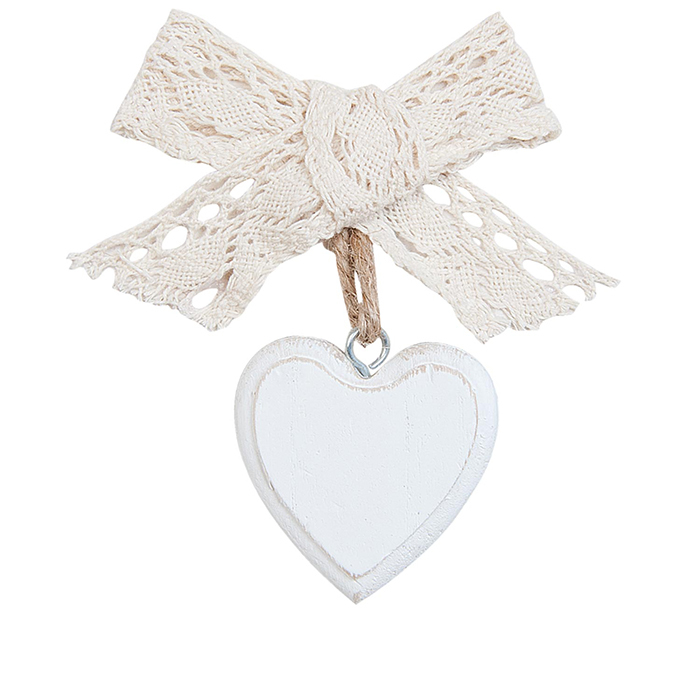 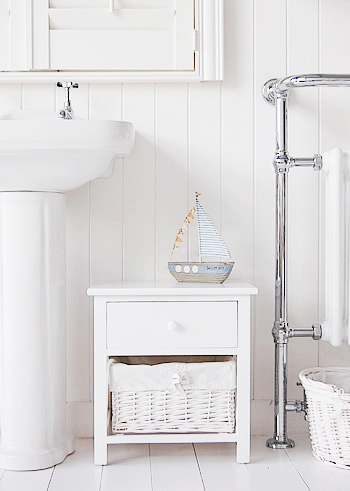 The White Lighthouse offers an array of white furniture and home decor accessories in New England, Scandi, French and Coastal style. 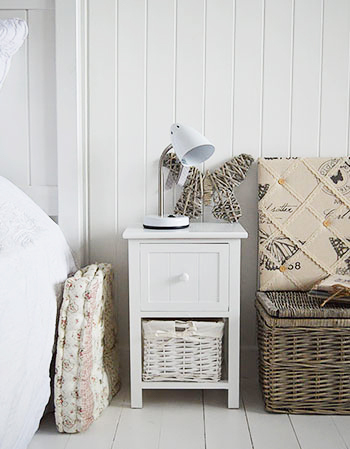 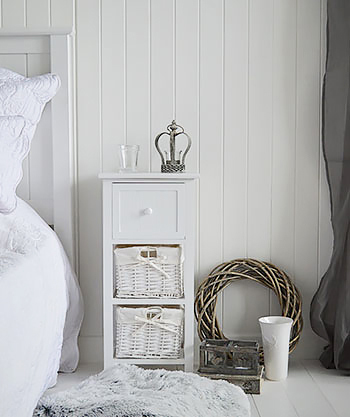 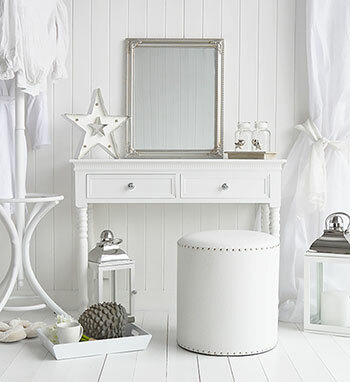 White furniture for gorgeous bedrooms, bathroom, hallways and living rooms. 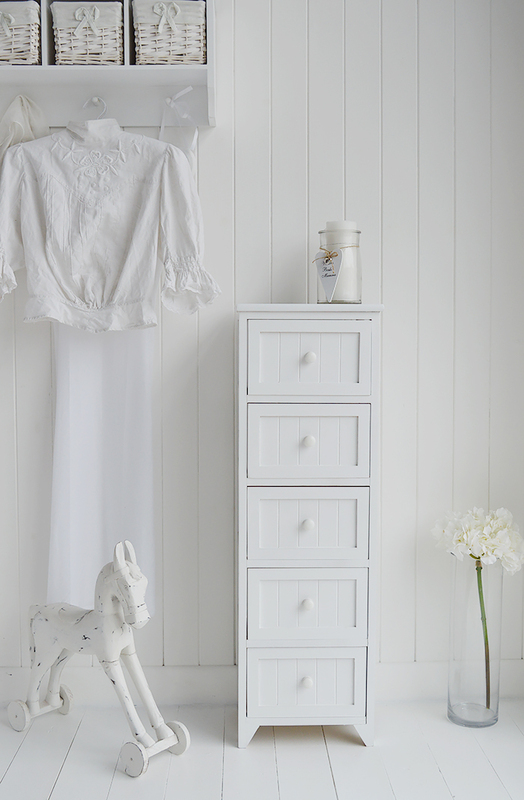 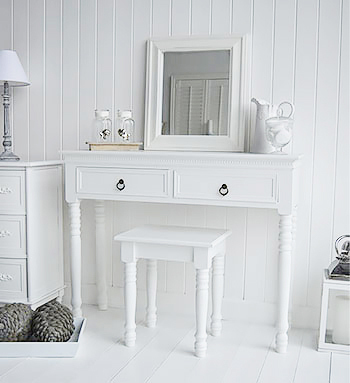 Sit back and relax... in a room of white furniture that symbolises peace, calm... the colour of sanctuary. 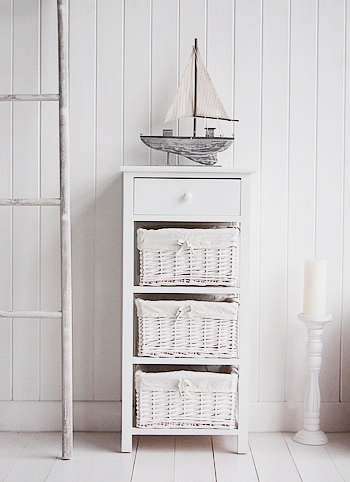 Remove the clutter from view to keep the calmness throughout the entire home. 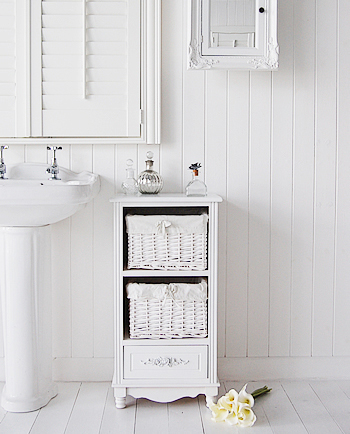 White goes with any other colour. 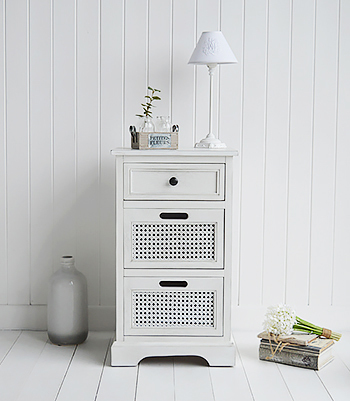 So it seems obvious now why The White Lighthouse offers a full range of clean crisp white furniture. 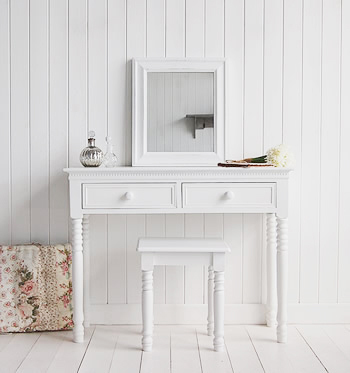 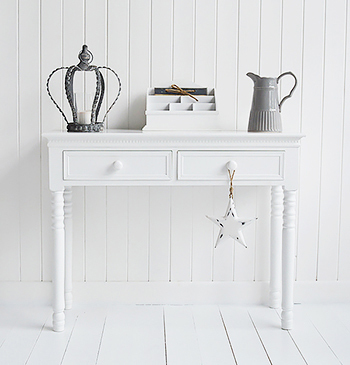 The White Lighthouse has focused on white furniture such as white dressing tables and white writing desks since its creation in 2005. 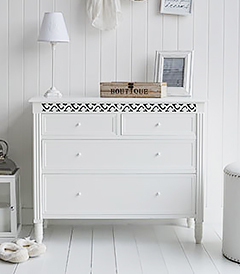 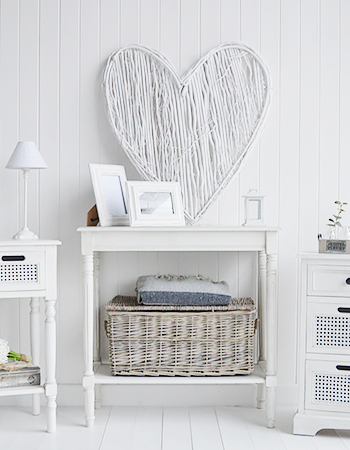 White furniture suits all styles of homes. 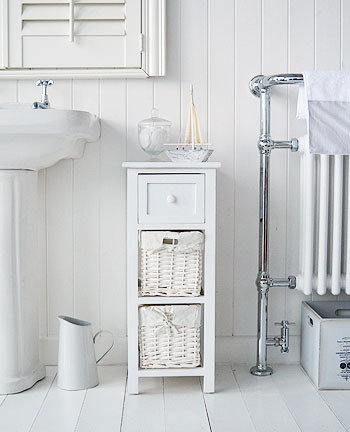 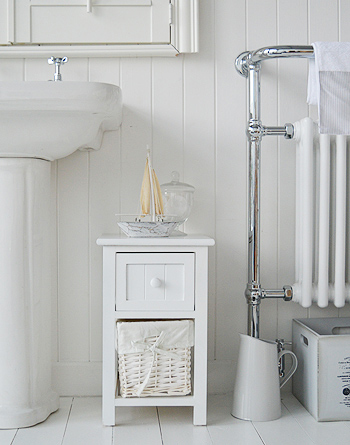 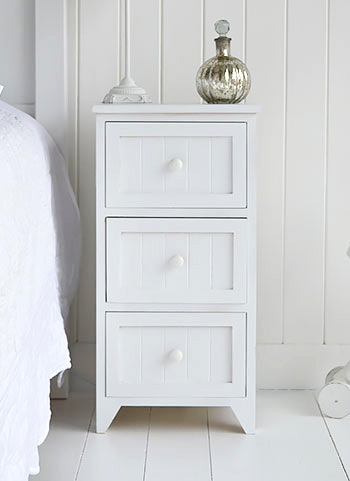 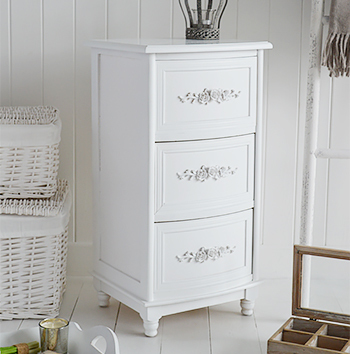 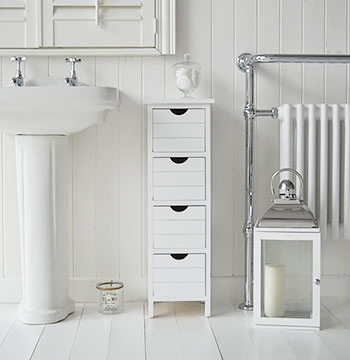 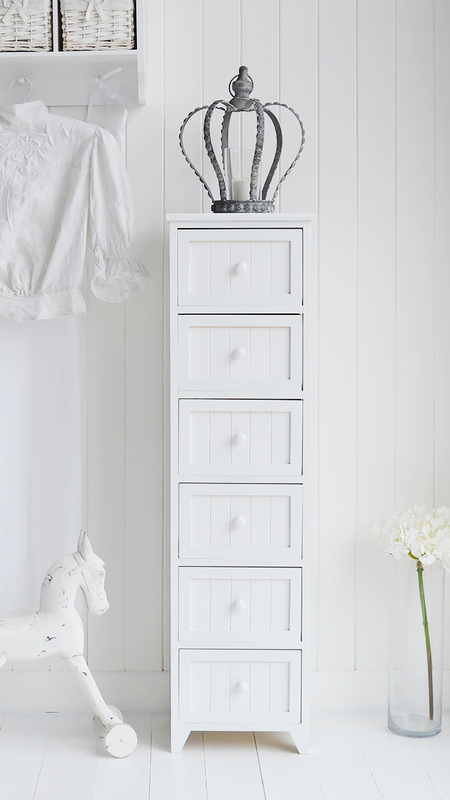 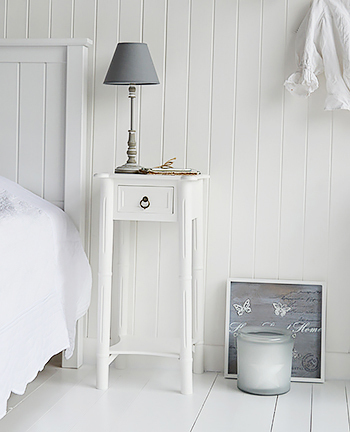 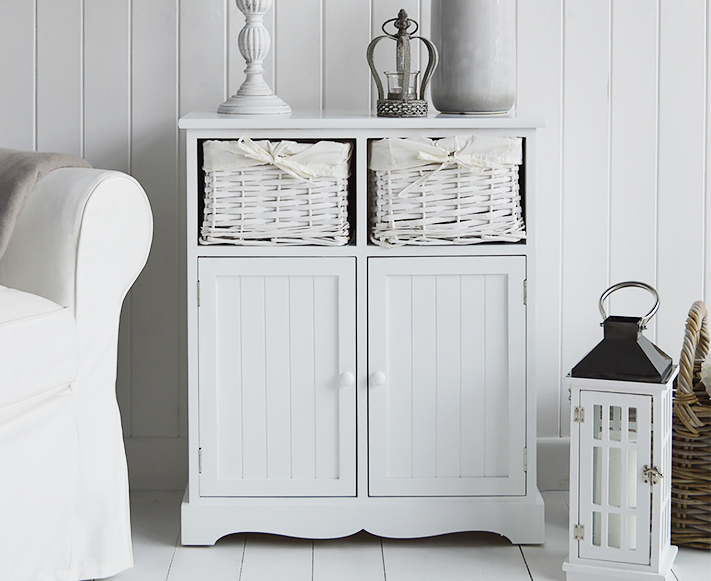 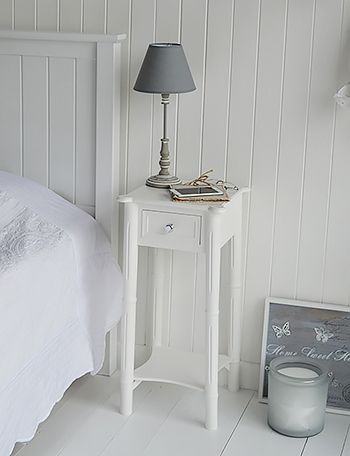 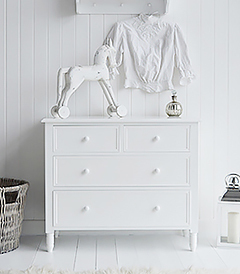 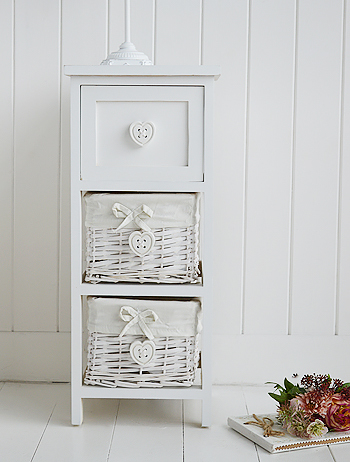 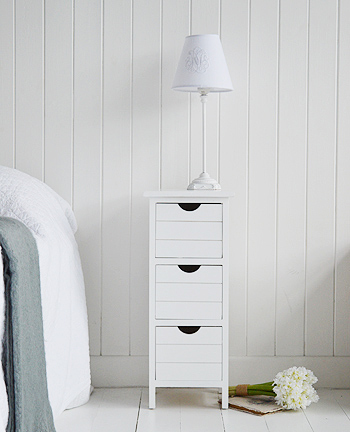 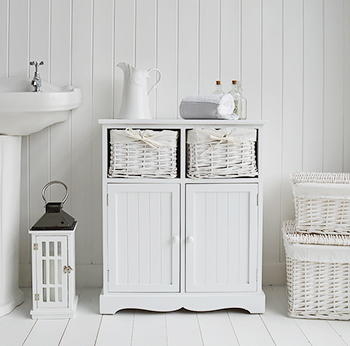 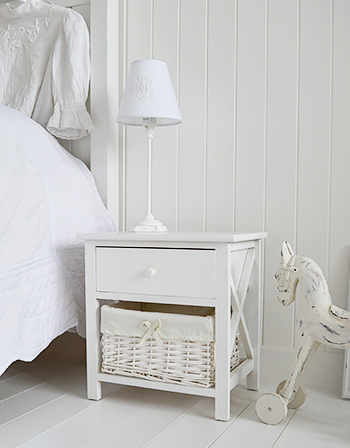 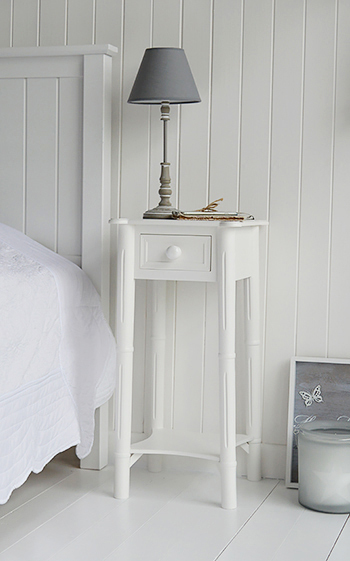 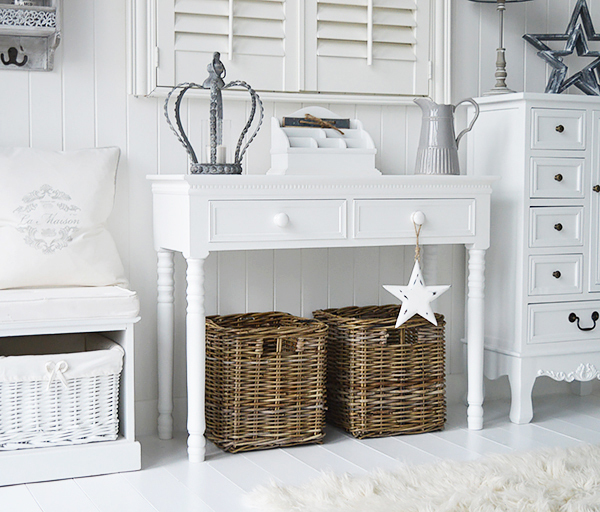 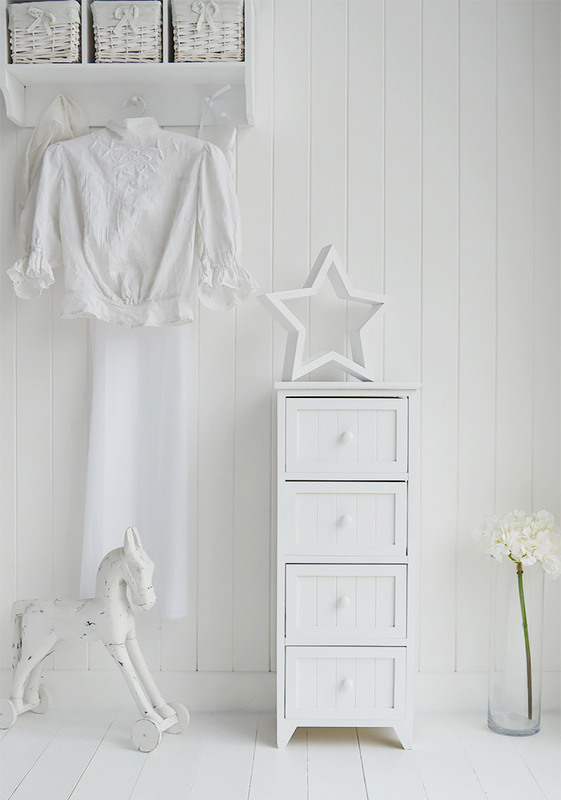 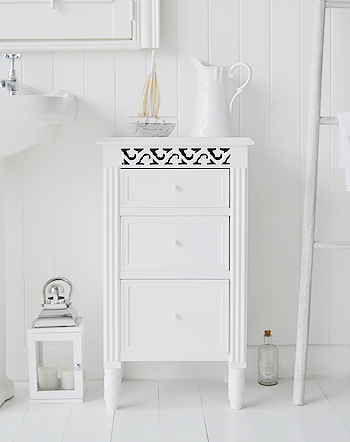 At The White Lighthouse, we offer white home furniture for classic Georgian and Victorian, beach and country homes. 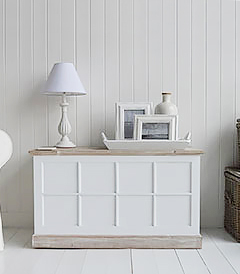 What colour of wall paint will match white furniture? 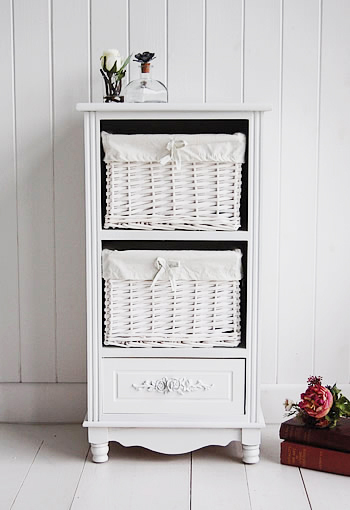 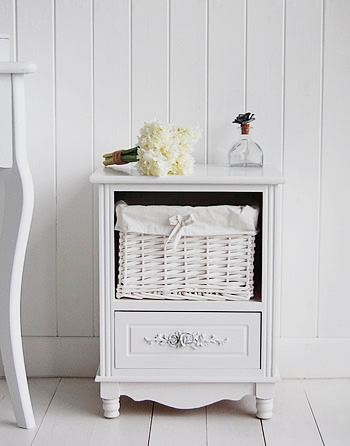 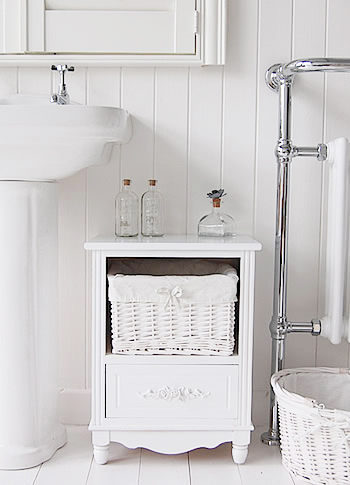 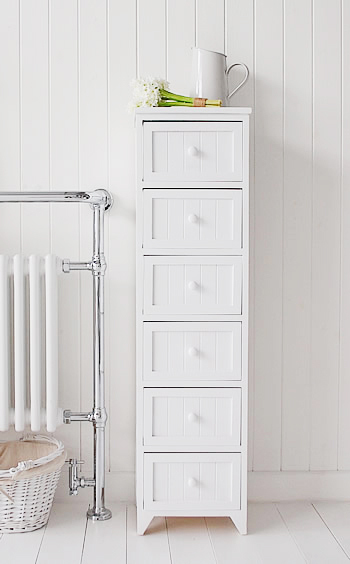 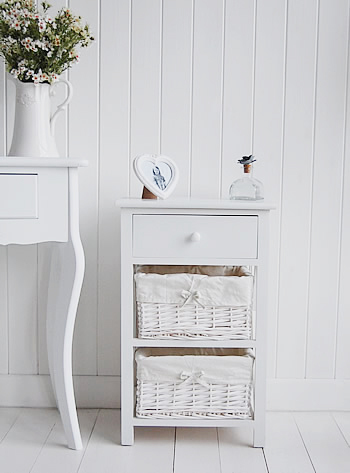 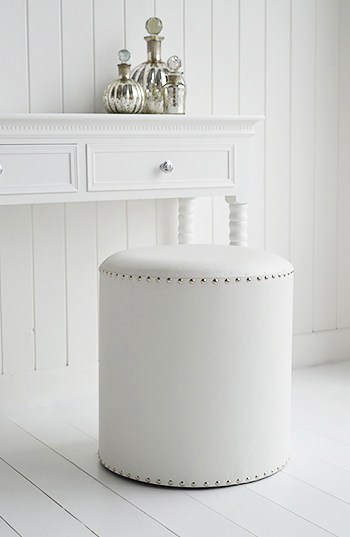 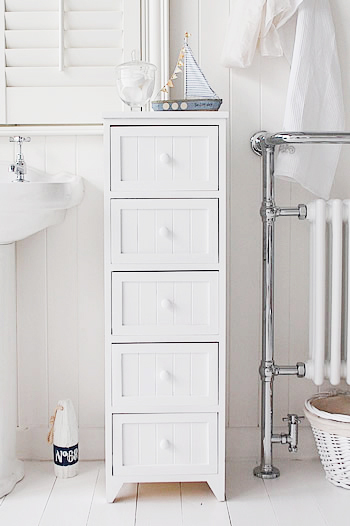 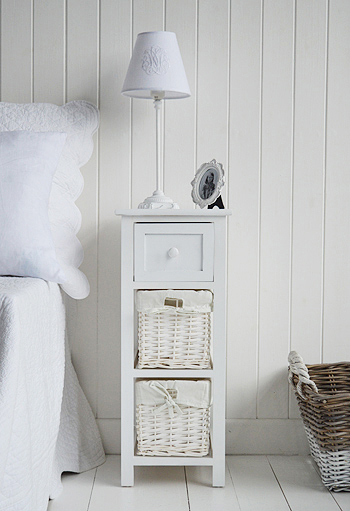 Again, this is quite simple, clean regularly as you do the rest of your furniture with a slighthly damp cloth.